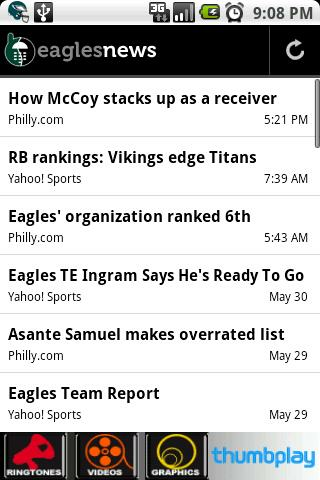 Eagles News brings you the latest headlines from national and local news outlets. 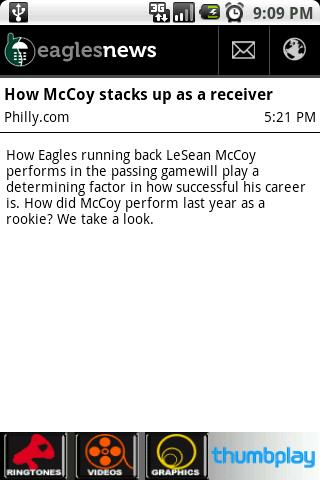 Background updates keep you current on all the latest Philadelphia Eagles news. v1.6.3 – Improved RSS feeds, better updates, minor improvements. NOTE: Click the globe icon in the upper-right of the summary to view full article.